Natural Sienna, Monte Amiata | Earth Pigments | Pigments | Kremer Pigments Inc. Raw Sienna earth from a site near Grosseto, Italy. 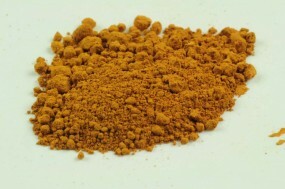 The pigment has been cleaned and ground very finely to create a brilliant, very light powder. Customer evaluation for "Natural Sienna, Monte Amiata"